As rain or snow falls outside the window, hiking is perhaps not the first thing that comes to mind. Thanks to Oregon’s incredibly diverse climate and geography, however, there’s no need for those who love the outdoors to let their trekking gear gather dust during the off-season. From the Oregon Coast to the Owyhee Canyon, there are dozens upon dozens of great escapes from the winter doldrums. 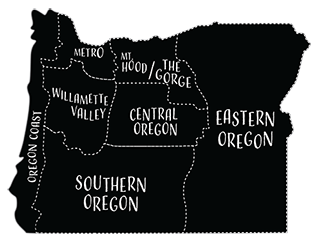 We’ve put together a snapshot of some of the trails and destinations that highlight Oregon’s incredible geographic diversity. We’ve included some short roadside hikes to viewpoints such as Wahkeena Falls in the Columbia Gorge, some longer routes such as Otter Bench in Central Oregon and DIY options such as the remote and largely untapped Leslie Gulch in far Eastern Oregon, where visitors are invited to blaze their own trails. Pack your favorite fleece, some rain gear, lots of water, an energy bar or two, a good pair of shoes and go explore these winter trails. Less than an hour drive from the Portland metro area, the lower Salmon River Trail offers destination travelers, as well as passersby, a chance to stroll through one of Oregon’s best preserved old growth stands. Majestic Douglas firs up to eight feet in diameter soar above a lush forest of hemlock and sword ferns along an easily accessible trail that traces the lower Salmon River outside the town of Zigzag. The five-mile trail offers multiple access points through a series of spurs, allowing visitors to shorten the hike. Most hikers, however, park at the Old Salmon River Trailhead that serves as the launching point for the out-and-back route. While the trail can become crowded in the summer months, you’re not likely to have a problem finding a parking spot or a bit of solitude in the off-season. Go For: One of Oregon’s best preserved stands of old growth Douglas fir trees and prime Chinook and steelhead spawning habitat. Roadside Attraction: The historic Zig Zag Inn restaurant and tavern is a great spot to grab a meal, cold beverage and soak in some Mt. Hood history. Take a different approach to Oregon’s most visited and photographed waterfall by starting at Wahkeena Falls, located just a few miles down the road. Instead of the park-pose-and-grin approach to Multnomah Falls, mix in a good hike by foot on Wahkeena Trail ending in an alternative high-elevation perspective of Multnomah Falls. Take the Bridal Veil Falls exit and follow it east to the Wahkeena trailhead. The path will lead you to views of a 240-foot triple chute that comprises Wahkeena and on past a series of smaller falls before reaching an overlook at Multnomah Falls. There you will find yourself looking down, rather than up at the falls. Descend one mile to the lodge below and grab the return trail that parallels the highway. Go For: An alternative perspective on Oregon’s tallest waterfall. Roadside Attraction: Multnomah Falls Lodge. A relatively new addition to the trail system along the wild and scenic Middle Deschutes River, the Otter Bench Trail is accessed out of Terrebonne through Crooked River Ranch. This high desert trail traverses the basalt-rimmed canyons of the middle Deschutes near Lake Billy Chinook outside Culver. The trail remains free of snow through most of the winter months and has sustained views of a little-traveled section of the Deschutes River. Juniper, sage and bitterbrush dot the hardscrabble canyon hillsides while the river cuts a ribbon through the floor below. From the trailhead, take the Lone Pine trail to the Otter Bench junction and follow it roughly two miles through the canyon. Grab the Pink Trail and follow it a half-mile down the canyon slope to the river’s edge. 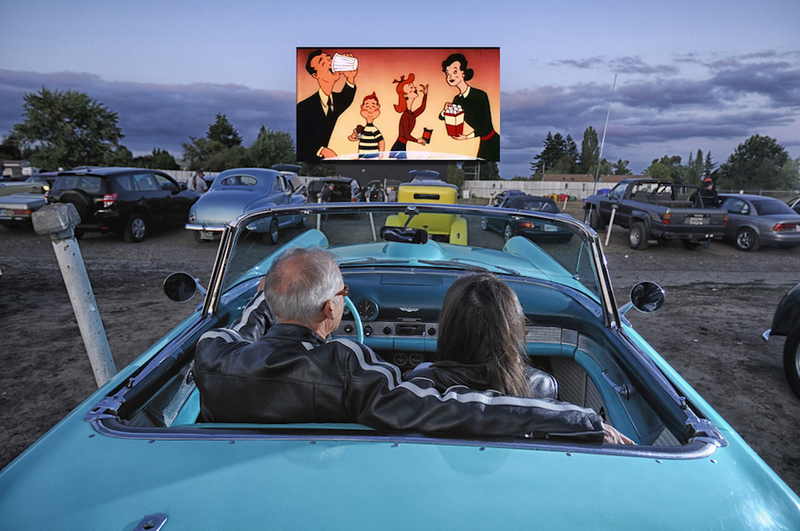 Go for: A chance to explore a gem of Oregon’s high desert just minutes from downtown Redmond. Roadside Attraction: Petersen Rock Garden. The Powell Butte trail system winds through a 550-plus-acre nature preserve that can be accessed from the MAX Light Rail, making it a perfect afternoon or weekend morning alternative to an all-day excursion. The crisscrossing trail network features only minor elevation changes around the urban cinder cone that also serves as a reservoir for the Portland area drinking water system. From the parking lot, follow the Mountain View Trail signs through a meadow of hawthorn and seasonal wildflowers to the summit where signs orient visitors to Mt. Hood, Mt. Adams and other points of interest. From there, follow the Mt. Hood Trail sign for a stroll through a mixed forest of Douglas firs, maples and cedars. Follow Cedar Grove Trail to the summit meadow and the remnants of a homestead-era orchard with walnut and pear trees. Go For: Urban solitude, a homestead-era orchard and mountain views. 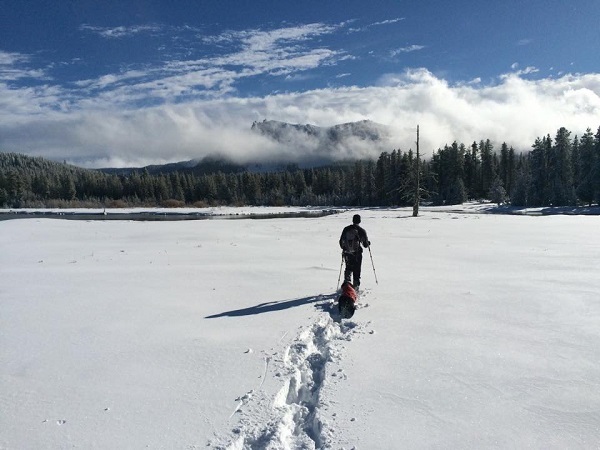 Pack your snowshoes for this winter hike into the Newberry Volcanic National Monument near La Pine. Plow crews keep the access road open to 10-mile Sno-park, allowing snowshoers, xc skiers and snowmobilers to make the outand- back trek up to Paulina Falls and beyond. The picturesque plunge drops some seventy-five feet not far below Paulina Lake where a small outflow allows Paulina Creek to escape from the caldera. In summer, the falls are visible from a day-use and parking area off the paved road. 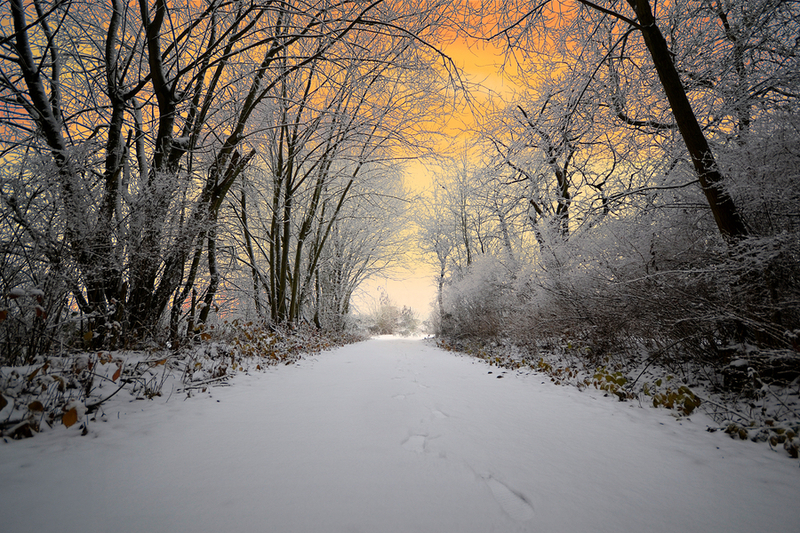 Come winter, however, visitors must make the five-mile journey by foot from the end of the plowed road. During cold spells, it’s not unusual for visitors to see ice climbers deploying axes and crampons to scale the wall of ice that temporarily replaces churning water at the falls. Continue another mile-and-a-half to the Paulina Lake Lodge and cozy up by an evening fire or belly up to the cozy bar and enjoy a Black Butte Porter, the perfect après hike beverage on a winter afternoon. Go For: A winter wonderland ascent into the heart of a snow-crusted shield volcano. Forget your trail map and leave your GPS unit at home. You won’t need it at Sutton Mountain where the BLM manages ten square miles of desert arroyos, steppe plateaus and slot canyons as a de facto wilderness. While there are several access points to the remote desert mountain outpost on the John Day River, offtrail hiking is the name of the game at Sutton Mountain with visitors blazing trails up dry creek beds and through open stands of juniper and native Ponderosa pines. One of the popular— though still lightly trafficked—routes allows hikers to approach Sutton Mountain from the northeast side at Black Canyon. The five-mile trek is part stroll and part scramble up the canyon to the basalt-rimmed peak of Sutton Mountain. There, hikers are rewarded with expansive views of the surrounding John Day River basin where 20,000 years of geologic history are revealed in 360-degree views. The biggest attraction lies to the east where the Painted Hills National Monument serves as a perfect photo backdrop. Notable Notes: 360-degree summit view of the John Day River basin and Painted Hills. Roadside Attraction: Rockhound for fossils at the DIY dig site behind the high school in Fossil. If solitude is what you seek, Leslie Gulch is where you will find it. This remote outpost of Malheur County was once a cattle ranching area, but the arrival of the Owyhee Reservoir buried all that’s left of the tiny ranching town of Watson. Today, the far Eastern Oregon valley is home to more bighorn sheep than cattle. While there are no mapped trails in Leslie Gulch, a campground at Slocum Creek on the shore of Lake Owyhee serves as a home base from which to explore this area that is characterized by sheer volcanic spires of honeycomb lava tuff, wildflowers, and wildlife that also includes bobcats, coyotes, raptors, chukar and California quail. The area’s bounty was well known to American Indians who hunted the hills and fished the Owyhee River for thousands of years before the arrival of Western immigrants. Note: The Bureau of Land Management recommends that visitors use high-clearance and four-wheel drive vehicles to travel the area’s minimally maintained back roads. Go for: Numerous honeycomb lava spires and a small boat launch on Lake Owyhee. Roadside attraction: Several rock climbing routes have been bolted at Upper Leslie Gulch. Keep your eyes peeled for climbers, or bring your own gear and conquer the basalt walls. 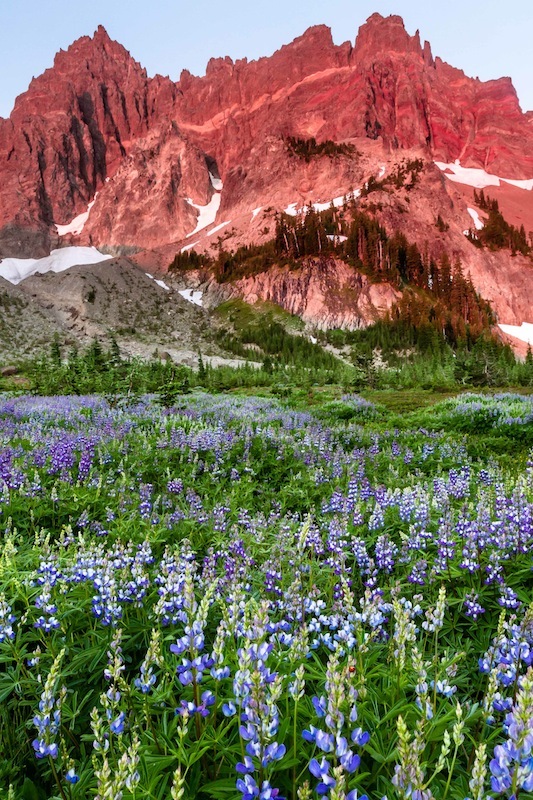 Immerse yourself in Oregon’s gold boom history while hunting for early spring wildflowers along this casual out-and-back stroll through time. The Jacksonville-area trail offers several different hikes that follow the now abandoned Sterling Mine Ditch. The culvert dates back to the Sterling Creek gold rush that kicked off in 1854. By the 1870s, the Sterling Mining Company was using high-powered water pumps to strategically erode topsoil and reveal the precious metal. The twentysix- mile ditch was constructed during the 1870s, mostly by Chinese immigrants, to bring additional water to the operation from the nearby Little Applegate Creek. The gold is gone, but the ditch remains as a testament to Southern Oregon’s days as a gold rush destination. Go For: A living history lesson. Tunnel Ridge is a remnant of Oregon’s gold rush days. Wildflowers begin to bloom as early as February on this low-elevation hike. Roadside Attraction: Red Lily Vineyards. A quick, if slightly off-the-beaten-path, hike on the Southern Oregon Coast, the Coquille Falls trail is a half-mile walk from the trailhead to the namesake falls. 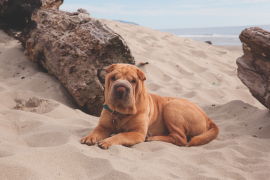 This year-round destination is just a short drive from Gold Beach and makes a good morning excursion for the entire family. From the trailhead off Forest Service Road 3348 follow the well-established path through an old growth grove of Douglas fir, hemlock and Port Orford cedar. When you reach the falls, take some time to observe the unique geology that allowed the water to carve deep pools and bowl-sized pockets in the soft sand and siltstone substrate that characterize the region’s landscape. Take care to watch your footing, however, as you approach the river. The rocks are often slick and the soil muddy from persistent winter precipitation in the area. Go For: Plunge pools, old growth Douglas fir, Port Orford cedar. Roadside Attraction: Gold Beach’s retro-kitsch Prehistoric Gardens. 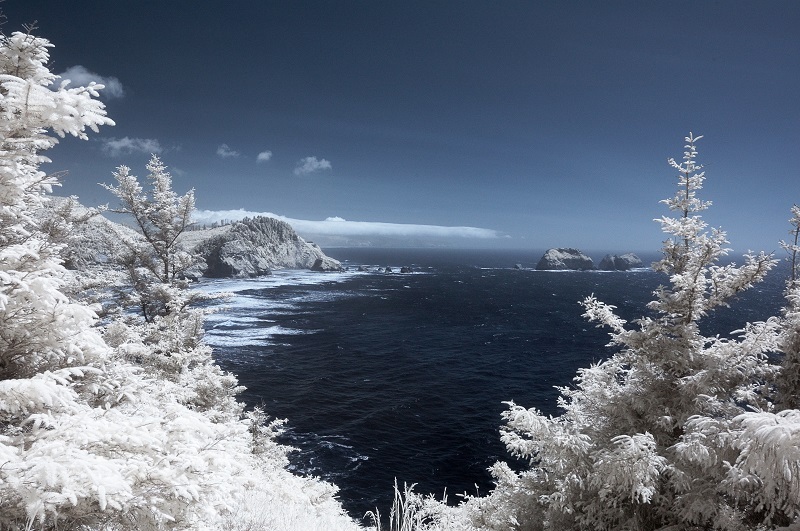 Roughly halfway between the surfing hotspot of Pacific City and the dairy town of Tillamook, Cape Lookout is a massive volcanic appendage that juts two miles into the Pacific Ocean. The feature is a remnant of a fifteen-million-year-old lava flow that poured down the Columbia River from eruptions in Central and Eastern Oregon. The cape is a testament to the region’s tumultuous geologic history and a reminder of the area’s volatility. While visitors are able to drive directly to the picnic area and make a short day-hike of the cape, a better option is to park and hike to the tip of the basalt peninsula. The route takes you past the site of a 1943 B-17 bomber crash. Along the route, you’ll find salmonberry, ferns, hemlock and spruce. Winter visitors have the chance to catch a glimpse of grey whales as they migrate between their calving grounds in Mexico and the North Pacific. Go For: A chance to see grey whales making their annual journey south. Roadside Attraction: Pacific City’s excellent Pelican Pub & Brewery. Thank you so very much for the trail information. Beautiful. great article – hope this becomes a feature every winter season – like to see more reviews an accesible hikes in winter.. thank you for this !! I had no idea Oregon had rugged mountains like this. All these pictures are fantastic!